Backup Communication System…Do you have one? A recent trip to the west coast brought with it an interesting encounter when seated next to a professional mom with several college students. Before settling into watch TV episodes on her iPad and me settling into my book, we exchanged a brief discussion of destinations and occupations. Much to my surprise, my co-traveler began to tell me how she insisted that all of her post college children have a landline phone installed wherever they settled. She also reminded me just how bad cellular service can be, and that she wants a reliable way available to communicate with her children. To her, landline phones are backup communication systems required for every family members household. After all, there are some conversations with your children that require a clear and concise connection. Any mom will tell you that she can tell by the sound of her child’s voice if something is really wrong. Today, the latest trend seems to be vintage everything. Vintage furniture, clothes, shoes, even vinyl record players. 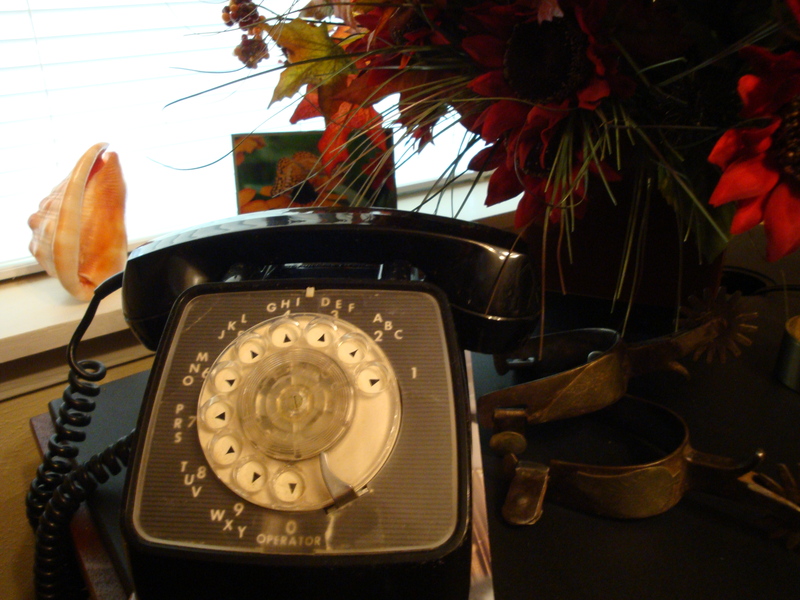 For me, a vintage black desk phone is a must in my home office. I admit this time following the latest trend paid off. It seems I was one of the few on my block who had phone service after the latest spring storm knocked down power lines everywhere. It’s kind of like my gas stove, there are some things I will never give up. Reliable communication systems for your home or office are available when calling 1.800.687.3222 or you may dial 940.564.5659. To learn more about the Brazos Telephone Companies visit us at brazosnet.com.